What’s better than a really good birthday party? 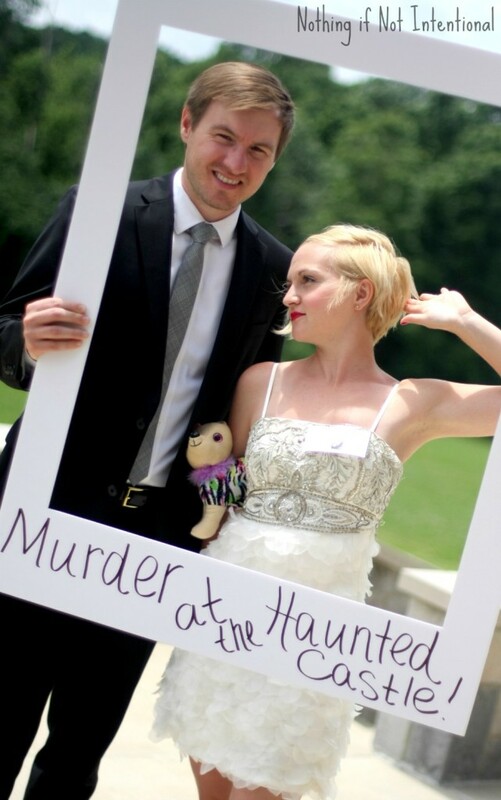 In my opinion, it’s a really good murder mystery birthday party. This is the third murder mystery party we’ve hosted, and each time I’m left with memories of awesome costumes, the high that comes from lots of laughter, and the reminder that we have awesome friends. Since this was my 30th birthday party, I didn’t feel much like cleaning my house and preparing a bunch of food to have guests over. So a few months ago we started looking for party venues. And we found the perfect place–a castle in the middle of nowhere! 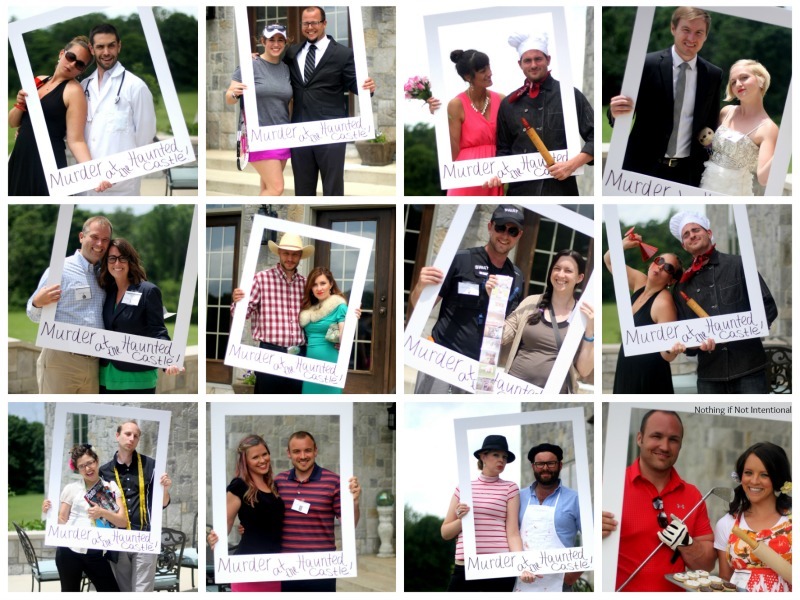 After our last party, I wrote a post that explains what to expect at a murder mystery party. 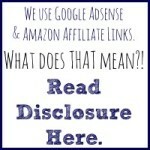 Feel free to share it with your guest to help them prepare! Seriously though…how great are these people? Our script was provided to me by My Mystery Party. 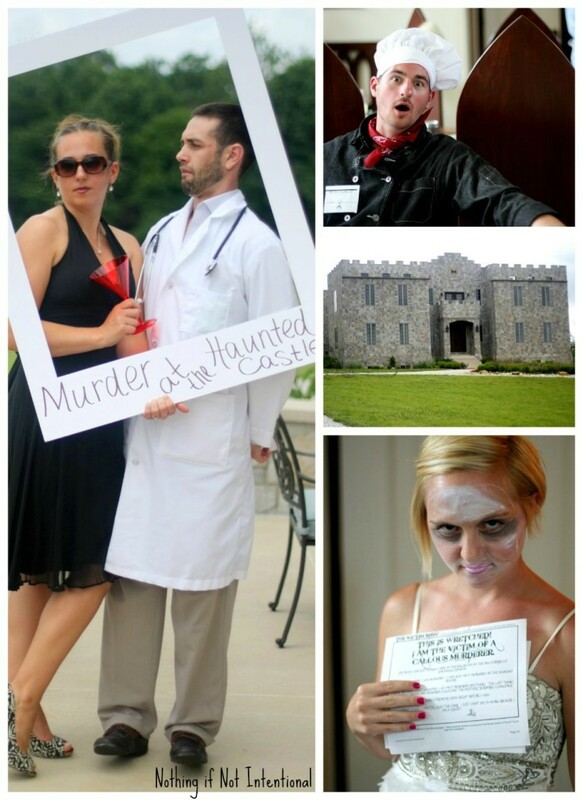 When I told them our party was going to take place at a castle, they suggested the Murder at the Annonville Manor. 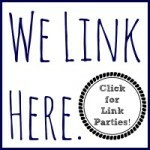 You can find lots of murder mystery dinner scripts and themes on their website, MyMysteryParty.com. Try to make sure your guests have their character descriptions a few weeks in advance so that they have time to put together their costumes. Purchase some white face paint for when your victim rejoins your party as a ghost. Expect some awkwardness and nervous giggling at the start of the game. Sooner or later, people will warm up and feel more comfortable with each other and their characters. It helps to have a few outgoing, crazy friends who really get into character to help other people feel comfortable. Don’t let your self-conscious friends convince you that they’re too nervous to participate. One of my friends tried to convince me she should just watch and not participate, but her cat-lady character was a huge hit. Goodwill, your storage closet filled with old bridesmaid dresses, and your kids’ dress-up boxes are all great places to look for props and costumes. Don’t forget to take pictures of each of your guests as they come in the door. It’s hard to be the host, photographer, and a character during the party. So get the shots while you can! 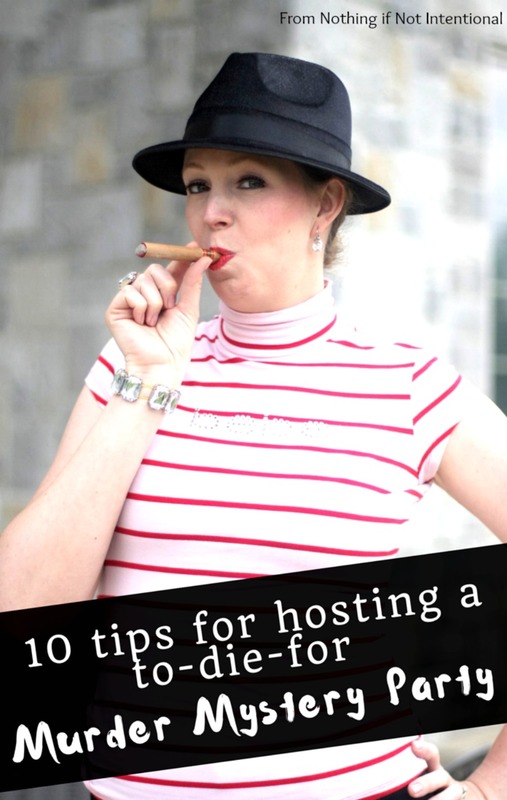 As the host, expect to use your printer and do some pre-party organization of the cue cards and script. Our game (with 22 people) took three hours to complete. Last time it was 3 1/2 hours, but we did a better job of pacing this time. Unscripted parties (like the ones from mymysterparty.com) work well for a group of friends who are comfortable with each other. There’s a lot of banter and improvisation that is great for friends/acquaintances with some familiarity. And while this party was fun, I couldn’t exit my twenties without a bit of reflection, so I wrote this post: Twenty Things I Learned in My Twenties. Thanks again to our friends who were willing to make the drive to the castle to make this birthday/murder mystery party a success! We love you.